SAN ANGELO, TX – Tom Green County Sheriffs' arrested the man who had gotten away from them last Tuesday, and they also found 100 grams of methamphetamine in the process. On April 2, Deputies attempted to pull over a black Ford F-150 for a speeding violation near the intersection of Grape Creek Road and Cactus Lane at around 12:00 a.m. Instead of stopping for the deputies, the truck sped up and went around the car in front of him by going into the opposite lane of traffic. The truck was traveling at approximately 70 mph when the truck lost control and spun out at the intersection of 40th and North Chadbourne. The vehicle regained control and headed south in the northbound lane to the Stripes that is located on 39th st. Once in the Stripes parking lot the truck began heading eastbound on 39th st to what would become the end of the chase. The truck made it a few more blocks before coming to a crashing stop at 40th and Blum. Once the truck crashed the driver jumped out of the car and took off running. He was able to get away from the deputies at the time, but there was a woman in the passenger seat. The deputies immediately got out of their vehicle and drew their pistols and demanded the woman get on the ground. The woman told deputies that she was hurt from the crash but did not want to go to the hospital unless she could take her purse with her. Deputies identified the woman as Crystal Urteaga and at the time she told deputies that she did not know where the driver ran off to, but that she only knew him as "D town." The truck was then searched and inside on the seat deputies found a white substance dumped all inside the passenger's seat that they believed was meth. They also found a gray ledger that contained sales record that deputies believed to be from selling the meth. According to an affidavit, a black nylon bag was found which weighed 104 grams. Urteaga was then taken to the Tom Green County Sheriffs' Office to be interrogated. Once there Urteaga spilled the beans and told deputies that the man driving was 44-year-old Elias Ybarra. She then went on to tell the deputies that just prior to the chase they were at the Love Shack Boutique and Smoke Shop. 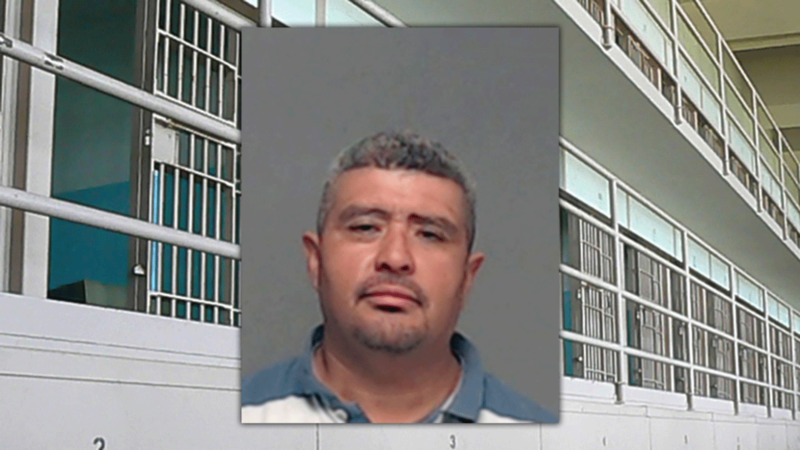 Ybarra was later found and arrested on April 4. He was charged with possession of a controlled substance, evading arrest, MISC contempt of court, and MISC parole violation at 4:08 p.m. He is currently still in the Tom Green County Jail on a $33,282 bond. Urteaga is currently not charged with anything.